It has been a while, over a month since I last posted. The reason for this is two part. First, if you read my last post (shaken to the core), you will remember a terrible situation affecting some boys that I know. Even though my own children were not involved, my close friends were, and it took quite a while to get past that situation. In the end, it had a wonderful outcome, but getting through that process required a lot of time helping that family with overcome their problem. My wife was again in the hospital, this time to repair her ankle, which she broke several years ago. She had it fused, which means she will lose some mobility, but she will be out of pain. This is great news also, but it has required time in the hospital and nursing home. On my journey back to writing this blog, I have suffered some tremendous writers block, motivation issues and time constraints. But now I am back. In this issue, I wanted to relay to you some inspiring words from a fellow blogger, which have helped me to get back on the proverbial Horse. Benny says, “When we were born, we were born with no fear and no idea of what wasn’t possible. But as we grew, and told our dreams to adults we became this person that had so much potential inside, but covered in layers of self-doubt, unhappiness, resistance, fear, and conformity”. 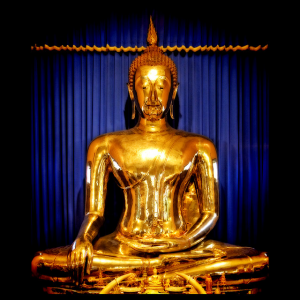 To this point, he tells a story of our potential, using The Golden Buddha of Thailand which is hundreds of years old. Here is that story – and I hope that you get out of it the inspiration I did. 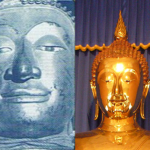 In 1955, a construction team in Bangkok, Thailand was moving the 10 ft. high Buddha from a temporary shelter, where it had been sitting for 20 years, to a new temple. The statue had been sitting under a simple tin roof because, honestly, the statue was not that attractive. A crane was supposed to move it carefully, but a cable broke and the statue fell in the mud. Workers fled because dropping a Buddha statue was seen as a bad omen. The next morning a temple monk went to go check on the statue. Through a crack in the plaster he noticed a hint of yellow. After removing all the plaster, the monk discovered that the forgotten Buddha statue was actually made of pure solid gold. It is the largest gold statue in the world and weighs a unbelievable 5.5 tons. Later, it was discovered the statue was made sometime during the 13th and 14th century. The Burmese army were about to pillage the city. 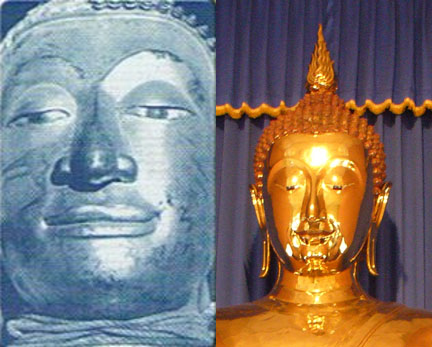 So the Golden Buddha was covered in plaster to conceal it’s true identity. The secret was so good that after those who knew of its true nature died, it remained hidden for 400 to 500 years. We are like that statue. We were born with unlimited potential. Through the years more layers were added upon us. Somewhere along our journey, we were led to believe a life of conformity was our true calling. Soon our happiness, passion, excitement, and love of life slowly faded away. Replaced with frustration, stress, sadness, and dreading another day at our horrible jobs. Yet, we have something inside of us that is more valuable than gold. It’s our best self, doing what we love every single day. It’s time to take back control of our lives and stop living how others expect us to live. We have to live how we want to live. Remember that we become The Choices We Make, and those Choices determine our Character. Become the new you today.